A Boca Raton Slip and Fall Attorney possesses the experience and knowledge needed to provide legal representation. Cases like this are typically complex and obtaining an Attorney is highly recommended. A slip and fall case includes any situation where a person falls on someone else's property and is injured due to the property owner's negligence. At the Law Offices of Robert E. Gluck, Robert Gluck will be happy to legally represent you and handle all the details of your case. Negligence must be proven in order to move forward with your case. Your Boca Raton Slip and Fall Attorney Robert Gluck can look at the facts of your case and determine if negligence exists. Negligence is the standard of care a reasonable person must follow to avoid injury to others. If they fall below that standard and you are injured, you may be entitled to financial compensation by the responsible party. There are many factors involved in a slip and fall case. 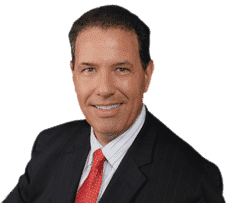 Your Boca Raton Slip and Fall Attorney Robert Gluck has been practicing law since 1989 and understands the complexities of insurance companies and the best possible strategies to use in your case. These cases are typically difficult to defend because the evidence can be destroyed or repaired before any investigation begins. Call Boca Raton Slip and Fall Attorney, Robert E. Gluck, immediately after your injury occurs. This will ensure he can get started on gathering evidence and thoroughly investigating your claim. He will meet with any witnesses who saw the accident to get their statement, obtain any available video surveillance, inspect the area where the accident occurred, and take photographs of the accident scene. All of this is done to make sure you receive the compensation you deserve so you can get back on your feet and move on with your life.